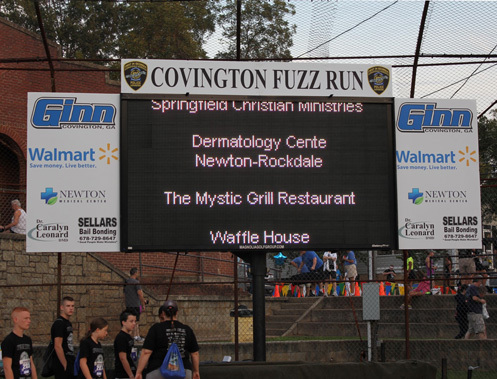 The Race Expo kicks off the race day festivities on the Friday before the race, September 13, from 8 a.m. until 6 p.m. On race day, September 14th, the Expo will be held at Legion Field 3183 Mill St. Covington, GA 30014. Campaigning will NOT BE ALLOWED either on EXPO or RACE DAY. Individuals can register for the race and/or pick up their bib number and t-shirt packet at the EXPO. EXPO fee is included in the Platinum and Gold sponsor packages. It is a great opportunity for companies to advertise and share information on what they have to offer. It is a good platform for personal trainers, fitness organizations, and various health professionals to network and brand their business. Any business, that is not at the Platinum or Gold level sponsorship, may still reserve a spot at the Friday and/or Saturday EXPO for a fee of $150. We encourage any and all sponsors and vendors to participate. We also encourage any and all door prizes to be donated for this worthwhile event, which is also another avenue to advertise your goods or service. Door prizes are given away throughout the day on Friday and during the race event on Saturday. All our sponsors are listed on our website, new commercial, the back of the race shirt, logo on the finish line, logo at the entrance of the field, fixed logo on the scoreboard, and scrolling logo on the electronic scoreboard according to their sponsorship level. We will provide a table and two chairs and you will be responsible for your own tent and tie-downs. 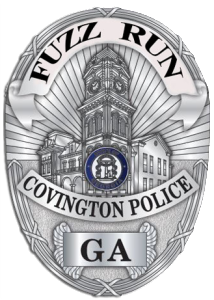 If you are interested in a 10x10 booth rental, please contact Sharon Shepherd at 678-625-5550 or email her at sharon.shepherd@covingtonpolice.com.